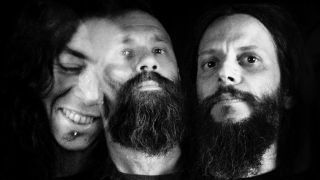 Titled Ecate, the new Ufomammut record is the follow-up to 2012’s Oro double-album – and Metal Hammer is streaming it for free. Due for release on 31st March through Neurot Recordings, Ecate is a dense, hypnotic aural journey into the wonderful world of psych-doom that the Italians have perfected over their past seven LPs. Pre-orders for Ecate (including limited vinyl, CD, shirt, and bundle deals) are now available. Head over to Neurot Recordings if you’re in North America, or Supernatural Cat’s store for international orders.